Unlike many raster graphics applications out there, Darktable works on the philosophy of non-destructive editing: it is a raw image editor application and offers professional photographers or amateurs the lighttable and darkroom so that they may easily develop raw images and enhance them according to their needs. It is an open source, cross platform application which works flawlessly on Linux, Mac and Solaris Operating Systems. It is not yet available for Microsoft Windows platform. It lets you easily crop and rotate your images; it comes with built-in modules to help you tweak image exposures. It lets you enhance the image saturation and you can display pixels outside the dynamic ranges. You can selectively modify color of any part of image, copy colors from one image to another, and work with color profiles. 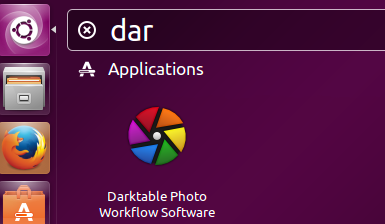 It is a feature rich application and recently Darktable 1.6.8 has been released, let’s see what are the new features in this new release and how to install it. The new release adds improvements to raw image support for various digital cameras specially Canon EOS, Nikon 1 J5, Panasonic DMC-G7 , Panasonic TZ71, Fujifilm X-T10 etc. This new release introduces improvements to common features like white balance presets, noise profiles and speed. It is now capable to read the model of the lens and handling many special cases. Overall, it’s a pretty impressive release. Lets see how we can install this new release on our Ubuntu 15.04 system, please note that this tool requires “cmake” and “xsltproc” modules to be installed on our system before we attempt to install or run this editor. So launch your terminal and run following command to install these software components. As soon as the pre-requisites have been installed, download the latest Darktable from following URL. Once the download is complete, go to the download location and here run following command to extract the downloaded file. Here run following command to install latest darktable version. Once the installation is complete, launch it from Applications menu. There you go, start using it to fulfill your Raw image editing needs. If you are having trouble installing latest version or want to install old (stable) version of this application, it can be done easily on Ubuntu. Run following command on the terminal to add PPA for darktable to your ubuntu system. Run following command to update your package manager. 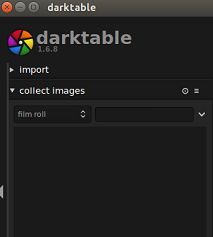 Now run following command to install darktable stable version. According to Softpedia, this application has over 5000 downloads, so we can guess it is slowly gaining popularity. It is a stable application, works like charm and is lightweight. Installation process is pretty simple and works fine on almost all Linux distributions out there.